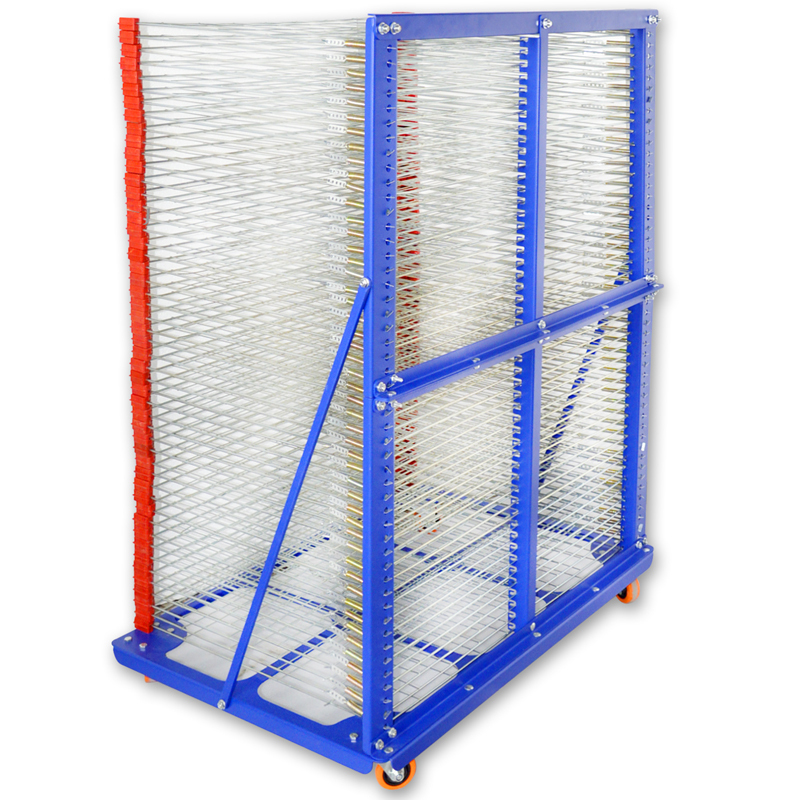 Drying rack is mainly used in stacked drying and transporting various products after printing .Save space, improve efficiency; It is often used to pushing printing products overall to dry under the sun. 1. 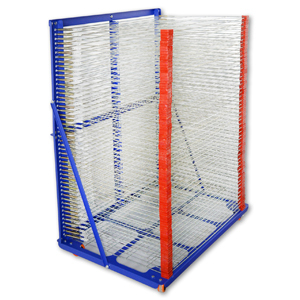 Usually, the traditional drying rack are not easily to be shipped, and easily be knocked, deformed, the surface of the rack wear out badly. 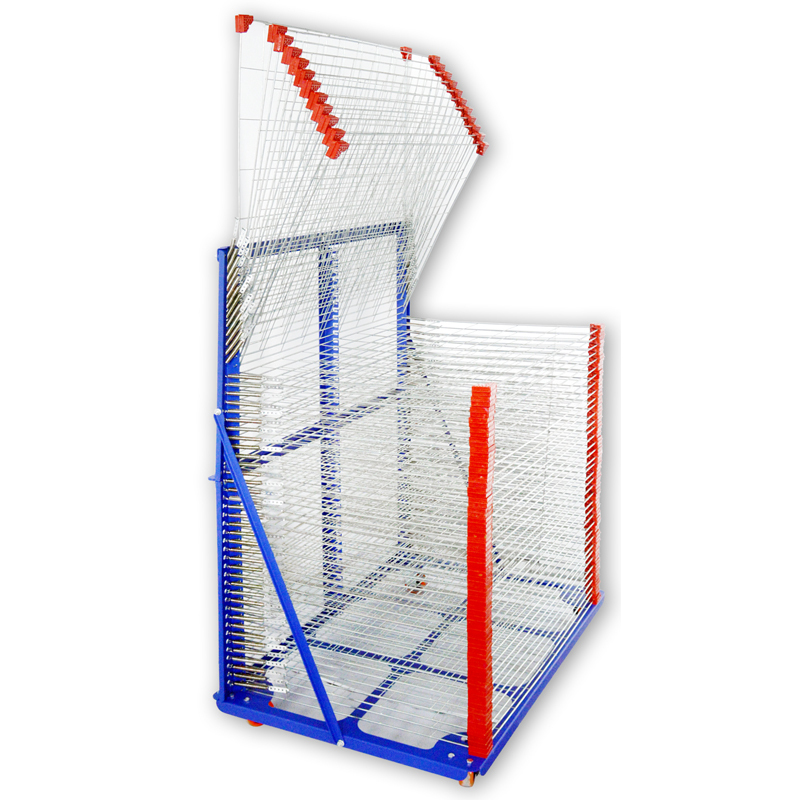 Our dryingtrack is combined type, packed with wooden case, shipping easily and security. 2.The main body of the drying rack is composed of three independent joinable parts,users can finish the whole rack by connecting the three parts with a bolt, there are two tilted supports which can be micro adjusted from front to back ,and they can make the main rack be more stable. 3. According the request, users can change the quantity of layers and the height of each layer. 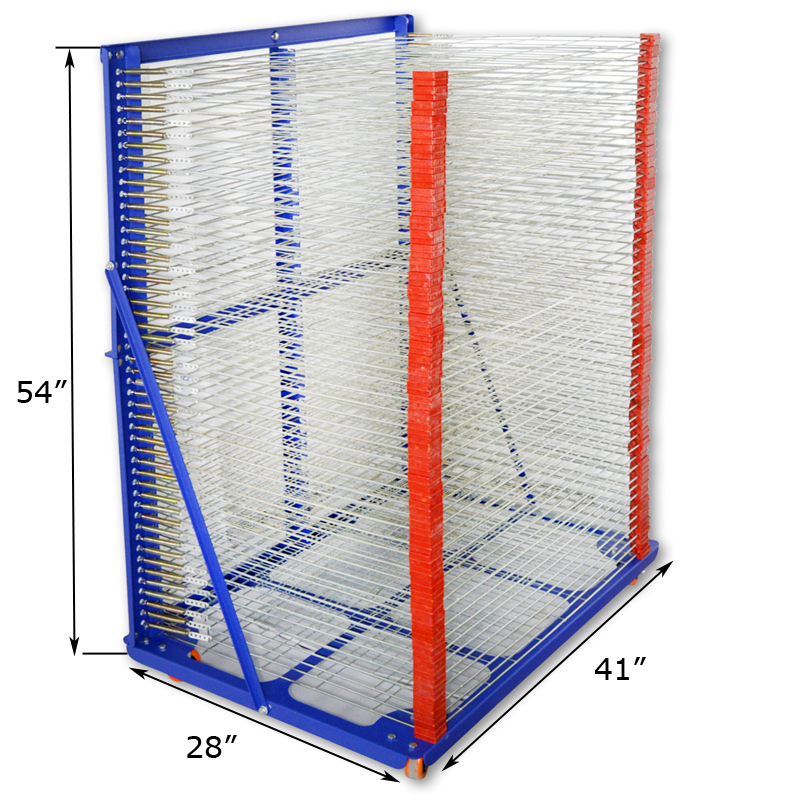 This rack is total 50 layers, if you need to place a product with height over 2.5 cm, below 5 cm , you can remove some layers and connect the plastic pads with screws, then this rack can hold a thicker object. 5. Attatch with full set installation tools and some spare parts.